© AP This undated photo provided by Alqasem family shows Lara Alqasem, a 22-year-old American graduate student, who landed at Ben-Gurion Airport Tuesday, Oct. 2, 2018, with a valid student visa. She was barred from entering the country and ordered deported, based on suspicions that she supports the BDS boycott movement. An Israeli court ordered that she remain in custody while she appeals. Israel has detained an American graduate student at Ben Gurion International Airport for more than a week, accusing her of supporting the Palestinian-led boycott movement of Israel. 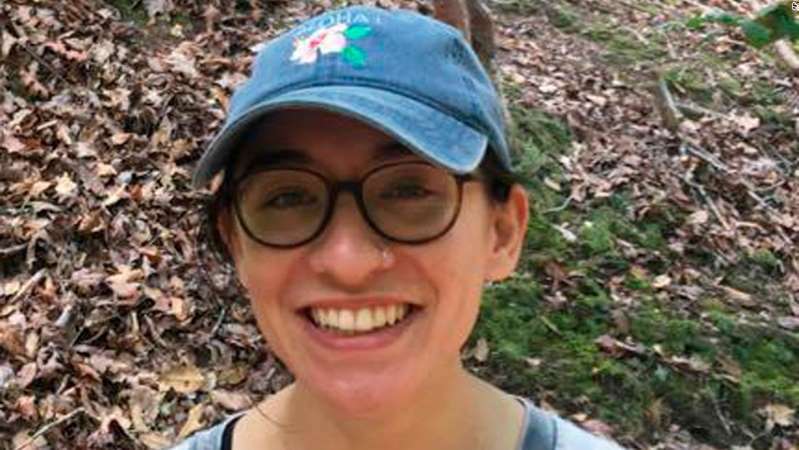 Lara Alqasem, a 22-year-old of Palestinian heritage from Fort Lauderdale, Florida, arrived in Israel on a student visa to attend Jerusalem's Hebrew University but never made it out of the airport after she was found to have ties to the Boycott, Divestment, and Sanctions movement, better known as BDS, her lawyer, Leora Bechor, said. "There was no justification to deny her [entry at the airport] when they could have made their decision at the time her student visa was to be issued," Bechor told CNN. "Someone with a visa in hand places their faith in the government's decision, so if the government plans to revoke a visa it has already issued, it must be held accountable." Alqasem has been held in a detention facility at the airport since arriving in Israel on October 2. She has access to a phone but cannot receive visits except her lawyers, Bechor said. The Ministry of Strategic Affairs, which handles BDS cases, called Alqasem a "prominent activist" who met the criteria of being refused entry into Israel. In a statement to CNN, Minister of Strategic Affairs Gilad Erdan said: "Israel, like every democracy, has the right to prevent the entry of foreign nationals, especially those working to harm the country. Therefore we work to prevent the entry of those who promote the anti-Semitic BDS campaign, which calls for Israel's destruction." The ministry added that Alqasem is free to return to the United States anytime. Bechor said her client still hopes to attend the university and wants to fight the ministry's decision in Israel, not as a BDS protest, but because she can't afford to fly back and forth while the case continues. A US Embassy official told CNN: "We are following the case and have provided consular services to Ms. Alqasem." At the US State Department briefing on Tuesday, spokeswoman Heather Nauert told reporters: "It's ultimately up to the government of Israel, or any country for that matter, to decide which individuals, which Americans, it wants to let in." Hebrew University's academic senate condemned Alqasem's detention and called for her immediate release. "The arbitrary denial of the entry into the country of Alqasem with a visa that was approved by the consul of Israel is something which will deter researchers and students from the world coming to Israel," Hebrew University Rector Barak Medina said in a statement. The case highlights Israel's efforts to block supporters of BDS. A 2017 law allows the Interior Ministry to decide if boycott activists will be granted visas or residency permits. Alqasem's case is the first to be decided under the new law, according to Bechor. Within the Israeli government, there are indications of unease over the detention. Deputy Prime Minister Michael Oren questioned the decision, saying in a statement: "I have said this in the past and I will repeat it again: The policy that is being implemented now is clearly causing us political damage. So the officials responsible for its enforcement must carefully examine whether Lara Alqasem really does support BDS. Is her presence in the country for the advancement of causes that are harmful and dangerous to our security?" He called for a re-examination of the policy "in order to protect ourselves and our image as a democratic and enlightened society." The night before her planned deportation last Friday, an immigration tribunal issued a ruling staying her forced departure. The case will be heard again in Tel Aviv District Court on Thursday morning. A judge could make a decision either way, or postpone the ruling. On Tuesday, Strategic Affairs Minister Erdan tweeted that Alqasem would be allowed to enter Israel if she apologizes for heading a branch of a boycott organization and admits that "she made a mistake in the past and that she believes today that support for of Israel and BDS is a mistake and is illegitimate..."
While Alqasem has yet to respond to the offer, it is unlikely that she will accept it, her lawyer told CNN, even though she sought to downplay Alqasem's previous role in the BDS movement. "She will not claim that it is an illegitimate form of protest," Bechor told CNN. "It would be intellectually dishonest for her to say that it is an illegitimate form of protest."